Natural fiber clothing. International gifts, childrens section, Something for the entire family at all price ranges. 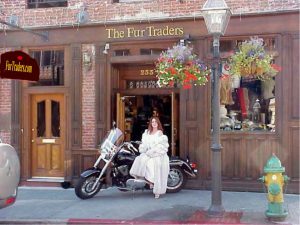 We design, manufacture and sell sheepskin, leather and fur hats, vests, scarfs, furlined and unlined gloves, coats, teddy bears, 50 styles of sheepskin footwear, Merrels, Mephisto, uggs, springstep, softwalk, and Minnetonka footware. 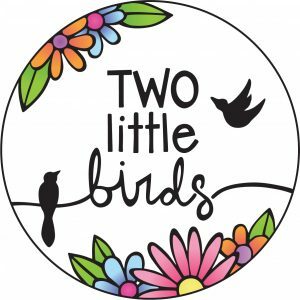 "A Boutique for Women" Clothing and accessories that are fun, fashionable, creative and comfortable. 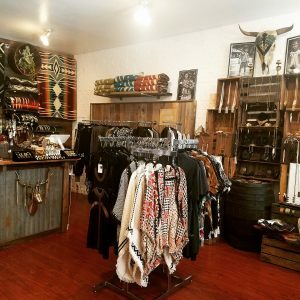 Mama Madrone's Eco-Emporium is Gold Country's favorite green living store! We offer a large variety of organic and sustainably made clothing for the whole family as well as fair trade gifts and accessories, eco home goods and certified organic mattresses and bedding. We also love supporting local artisans! 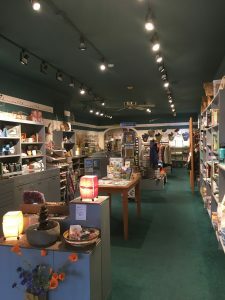 Mama Madrone's Eco-Emporium was established in 2007, and has been under the new ownership of Kristin and James Welch since August 2013. 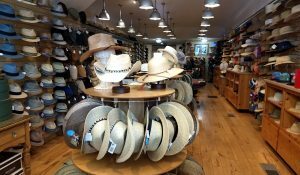 We carry a full line of mens wear, blankets, bags, jewelry, accessories (wallets, flasks, manicure kits, etc. ), and womens clothing. Wedding services include Tuxedos by Selix and groom's gifts. 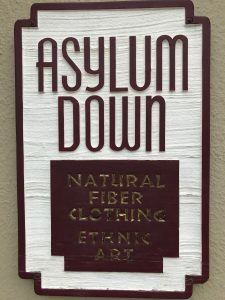 "Offering a wide variety of men's, woman's and children's styles from: gardening to weddings; ball caps to fedoras: beach wear to the kayaking. Also featuring canes, seasonal scarves and wallets. Stop by and check it out. BoHo Lounge as a place to share all the things I love, from long flowing skirts, crochet tops, and handmade goods. 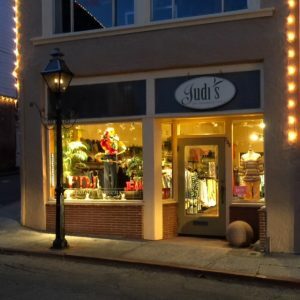 Symbolic Socks is a family owned business dedicated to connecting one sole at a time through symbols. Our socks are designed in Nevada City California and manufactured in North Carolina. All artwork for Dharma Love products are created by South Lake Tahoe artist Anastasia Keriotis. Paintings, woodcuts, photographs, monotypes and lithographs are the types of art pieces that are printed onto the fabric (hemp, organic cotton and socially accountable products) by Anastasia. Hand crafted artwork printed with non-toxic, water based inks. Each item is a conscious product accompanied by a Social Accountability Statement. Esoterica is a small company specializing in the production of clothing and hand crafted goods made in Asia. 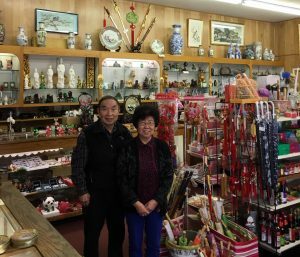 Our product line includes a variety of woman's clothing, hand carved soaps, wallets and coin bags, indoor bamboo and paper mache lamps, jewelry, handbags, and much more. 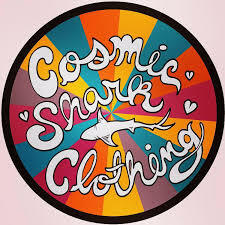 We are a fair trade clothing company called Lobos Del Mar. 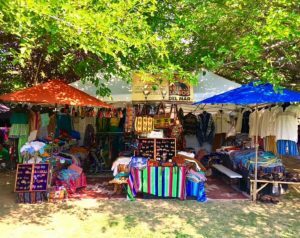 We sell hand made, hand loomed clothing that is made in Oaxaca & Chiapas Mexico, Ecuador and Peru. Our clothing line is uniquely designed along side indigenous families and is made with honor, pride and tradition. We use only natural fibers of the highest quality. We Set The Fashion Trends! Here at Shaman we don’t follow fashion trends we set them. We are an ever evolving, ever creating, close knit family team. Our aim is to create innovative, quality designs, that are simply not available anywhere else. 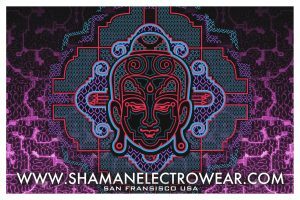 Buddhism, tribal cultures, psychedelic music and mother nature herself heavily influence the imagination and ingenuity behind all our designs. Nothing is created here without deep personal reflection and contemplation upon these inspirational sources.